From dialyzing at home or in a center to receiving a kidney transplant, you can find a treatment that best fits your needs when you have end stage renal disease (ESRD). Dialysis or Kidney Transplant: What’s the Difference? 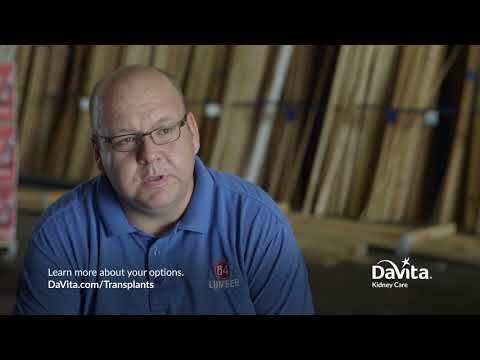 While dialysis replaces failed renal function, a transplant replaces a diseased kidney. Here’s more on how each works differently. Dialysis uses a special fluid—dialysate—to carefully pull waste, salt and extra water out of your blood without removing substances your body needs. Dialysis can be done at home or in a center. A kidney transplant requires a donated kidney, from either a deceased or a living donor. The donated kidney is placed in the abdomen, separate from the remaining disease kidneys, and restores normal kidney function. 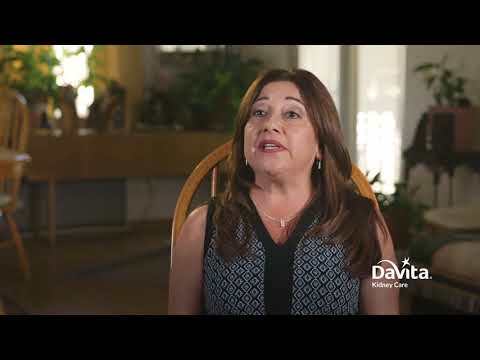 Which dialysis treatment options fit your lifestyle? Use the Treatment Evaluator to help you decide. Once you receive a kidney transplant, it is important to maintain a healthy lifestyle in order to help your new kidney last as long as possible. Deciding to get a kidney transplant is a big step. To get started in making an informed decision, ask your doctor a few key questions. Am I a good transplant candidate? What can I expect from the evaluation process? What should I expect after a kidney transplant? What are my donor options? 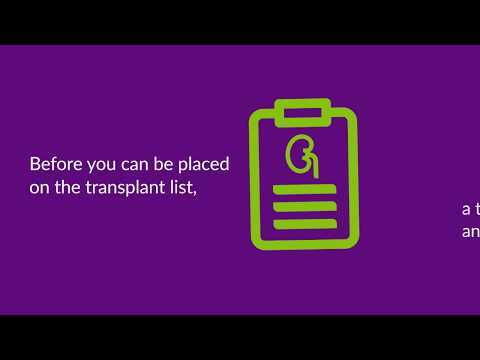 If you’re considering a kidney transplant, begin by learning what to expect through the transplant journey. 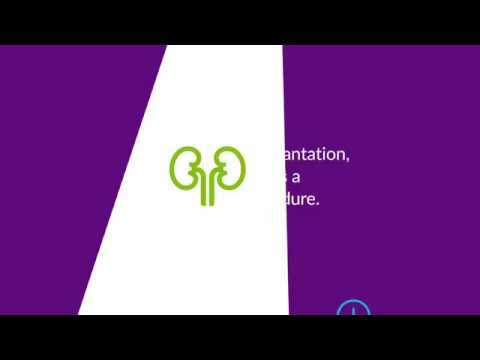 Watch this series of videos to help you understand kidney transplant evaluation, process and recovery. 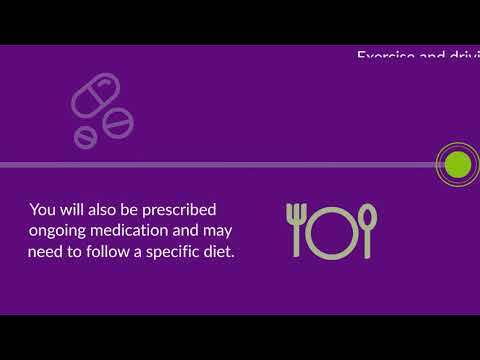 Medication will be prescribed to help ensure your body accepts the new kidney. In some cases, the newly transplanted kidney begins working right away, while in others it may require dialysis for a few days before it starts functioning normally. A living donor kidney functions, on average, 12 to 20 years, and a deceased donor kidney from 8 to 12 years.10 When a transplant fails, a patient may opt for a second transplant or return to dialysis. Home dialysis patients are more likely to get infections. True or False? Incorrect. By using proper training and hand-washing techniques, infections can be avoided. Correct. By using proper training and hand-washing techniques, infections can be avoided. How many people received a kidney transplant in 2018? You’ll have to give up your pets to dialyze at home. True or false? Incorrect. You can have pets and dialyze at home. Just keep them away from your treatment area and supplies. Correct. You can have pets and dialyze at home. Just keep them away from your treatment area and supplies. What is the average wait time for a kidney-donor match? You can’t do home dialysis if you’ve missed in-center treatment goals. True or false? Incorrect. Depending on the patient, those who struggle with in-center dialysis routines may do better on home dialysis. Correct. Depending on the patient, those who struggle with in-center dialysis routines may do better on home dialysis. 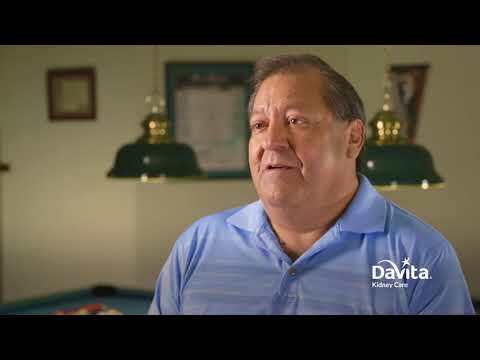 Hear from DaVita patients and their experiences with home dialysis and kidney transplant. Learn more about becoming an organ donor. Disclaimer: This page is for informational purposes only and is not intended to be a substitute for medical advice or diagnosis from a physician. 1. PD: Burkart J and Golper T. www.update.com. Patient information: Peritoneal dialysis (Beyond the Basics). HHD: Galland R et al. Kidney International. 2001;60:155-1560. | 2. PD: Molnar, MZ et al. Clin J Am Soc Nephrol. 7: 332–341, 2012. HHD: Weinhandl, E et al. J Am Soc Nephrol. 2012 May; 23(5):895–904. | 3. PD: Renal Resource Center. An Introduction to Peritoneal Dialysis. www.renalresource.com. HHD: Jaber BL et al. Am J Kidney Dis. 2010;56:531-539. Nocturnal: Buqeia A et al. Clin J Am Soc Nephrol. 2009 Apr;4(4):778-783. | 4. PD & HHD: Parker K et al. Kidney J. 2014;7:557-561. Nocturnal: Ok E et al. Nephrol Dial Transplant. 2011;26(4):1287-1295.| | 5. HHD: Galland R et al. Kidney International. 2001;60:1555-1560. Nocturnal: Buqeja A et al. Clin J Am Soc Nephrol. 2009 Apr;4(4)778-783. | 6. PD: St PeterWL et al. BMC Nephrol. 2013; 14:249. HHD: FHN Trial Group. N Engl J Med. 2010 Dec;363(24):2287-2300. Nocturnal: Ranganathan D et al. Indian J Nephrol. 2012 Sep-Oct;22(5):323-332. | 7. 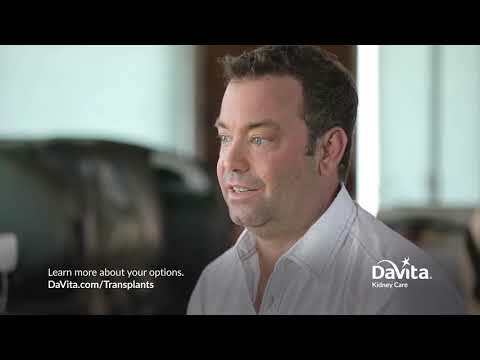 Beth Israel Deaconess Medical Center http://www.bidmc.org/Centers-and-Departments/Departments/Transplant-Institute/Kidney/The-Benefits-of-Transplant-versus-Dialysis.aspx | 8. Donors Recovered in the U.S. by Donor Type. Organ Procurement and Transplantation website. https://optn.transplant.hrsa.gov/data/view-data-reports/national-data/# Based on OPTN data as of January 29, 2019. Accessed January 29, 2019. | 9. Based on 2014 transplant data from: (i) https://optn.transplant.hrsa.gov/data/view-data-reports/national-data/# (17,108); (ii) https://www.usrds.org/reference.aspx (USRDS table D.1, 3,102 pre-dialysis); and (iii) DaVita internal data (5,100 patients) | 10. Beth Israel Deaconess Medical Center. http://www.bidmc.org/Centers-and-Departments/Departments/Transplant-Institute/Kidney/The-Benefits-of-Transplant-versus-Dialysis.aspx | 11. United Network for Organ Sharing website. https://www.unos.org/data/transplant-trends/ Based on OPTN data as of January 29, 2019. Accessed January 29, 2019. | 12. United States Renal Data System. 2014 USRDS annual data report: Epidemiology of kidney disease in the United States. National Institutes of Health, National Institute of Diabetes and Digestive and Kidney Diseases, Bethesda, MD, 2014.